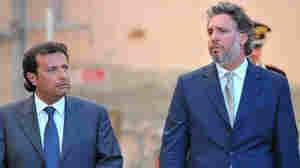 February 11, 2015  Captain Francesco Schettino was sentenced to 16 years in prison for his role in the disaster, in which an Italian cruise ship hit rocks in 2012 and sank, killing 32 people. December 2, 2014  Francesco Schettino said he didn't change the route of the cruise liner to impress a Moldovan dancer he was having an affair with. November 4, 2014  Workers at a salvage yard found remains believed to be of Russel Rebello, the last victim still missing after the cruise ship capsized in January of 2012. July 23, 2014  More than two years after the luxury liner wrecked off the Italian island of Giglio, it is finally being moved to a salvage yard in the port of Genoa. July 14, 2014  Salvage workers plan to move the Costa Condordia from the spot of its deadly wreck off the Italian coast this week. 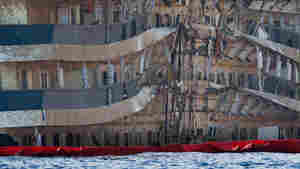 The ship will eventually be used for scrap. October 29, 2013  Prosecutors say the Moldovan dancer's presence on the ship at the time of its crash may have been a distraction to the captain. September 26, 2013  The remains are presumed to be of a passenger and crew member still unaccounted for from the January 2012 disaster that killed 32 people. 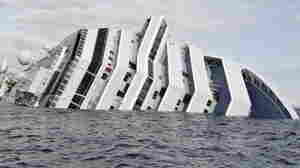 September 23, 2013  Francesco Schettino, on trial for manslaughter and abandoning his passengers and crew, says the man steering the cruise liner turned the wrong way. September 17, 2013  See the 19-hour operation condensed into about 60 seconds. 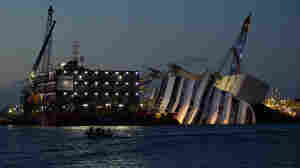 The cruise ship, which went aground off Tuscany in January 2012, has been shifted into a vertical position. September 17, 2013  The cruise ship, which ran aground in January 2012 off the coast of Tuscany, will be stabilized and checked to make sure it can make it through the harsh winter. In the spring, the vessel will be floated to a scrap yard. 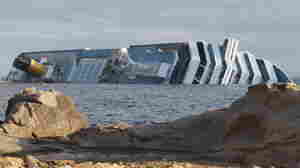 September 16, 2013  The cruise ship ran aground and slumped over on its starboard side off the coast of Tuscany in January 2012. Thirty-two people died. The effort to pull it upright is said to be the biggest such operation ever. At 114,000 tons, the ship is twice the size of the Titanic. 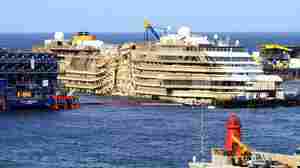 September 14, 2013  A complicated salvage operation is set to begin Monday at the site of the Costa Concordia, the luxury cruise ship that ran aground off Italy in 2012. 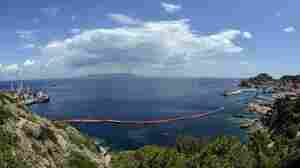 Even if it succeeds, it will be a long time before things return to normal on the island of Giglio, where the ship wrecked. May 22, 2013  Capt. Francesco Schettino is accused of negligence that led to the grounding of the ship and of abandoning the stricken vessel while a rescue of its more than 4,200 passengers and crew was still underway. 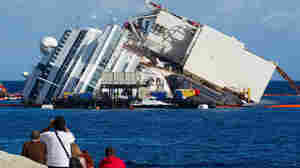 April 17, 2012  Italian authorities identified five more victims from January's shipwreck of the Costa Concordia. 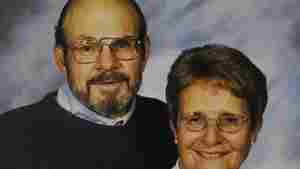 They include a Minnesota couple, Barbara and Gerald Heil. Two people are still missing. 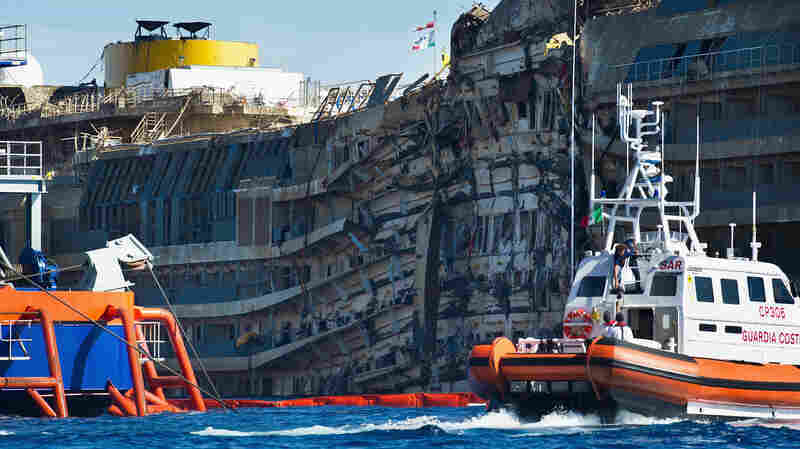 January 20, 2012  Search and rescue operations at the wreck of the Costa Concordia have resumed, after being halted for a third time, due to choppy waters and the partially submerged vessel's tendency to shift on the rocks near Italy's coast. January 19, 2012  More than 20 people are still missing. 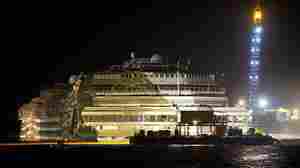 The Costa Concordia hit some rocks on Friday and listed over on it starboard side. Eleven deaths have been confirmed. 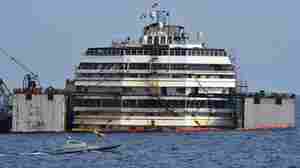 There were about 4,200 passengers and crew onboard. January 18, 2012  The Costa Concordia shifted slightly earlier today, forcing searchers to back off at least temporarily. So far, 11 people are known to have died. Another two dozen are still missing. The ship's captain is under house arrest. 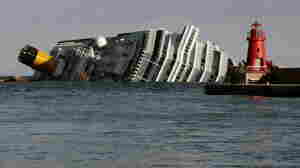 January 17, 2012  The death toll from Friday's crash off the coast of Tuscany has risen to at least 11. 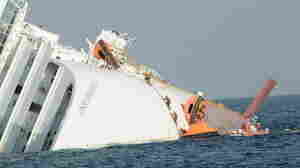 The ship's captain is accused of manslaughter. He allegedly abandoned the ship before some passengers were off. You can hear him be ordered to get back on board. 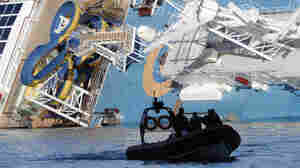 January 17, 2012  Divers and rescue personnel are still trying to reach areas of the cruise ship Costa Concordia that haven't yet been explored in a bid to see if any of the 29 people who remain unaccounted for after Friday's crash off the Italian coast are alive.